Called the “anti-aging” supplement of the 21st century, Rhodiola rosea has a reputation for helping the body deal with occasional stress, combating fatigue and boosting general health and wellness. More recently, however, it's also been found to help protect, reduce the appearance of fine lines and wrinkles and help skin to maintain a more youthful appearance. Rhodiola has the same type of antioxidants as grape seed. 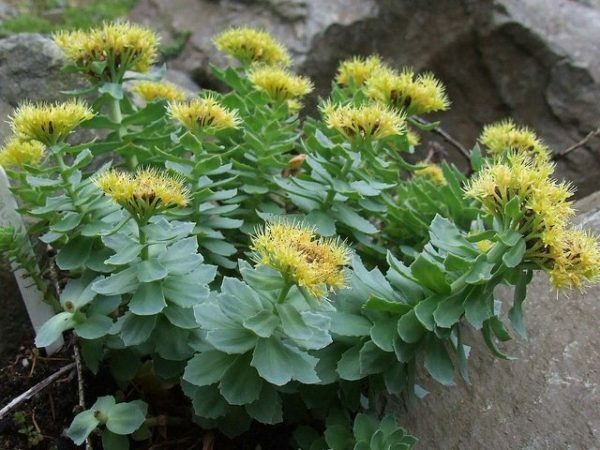 Also known as Root of the Arctic and Golden Root, Rhodiola is native to the arctic regions of Eastern Siberia. A member of the Crassulaceae family, it also grows in the Rocky Mountains, the mountains of Central Asia, and the mountainous areas of Europe. A perennial plant, Rhodiola grows to about 30 inches, with several shoots coming from the same thick root. Yellow flowers bloom in summer and have a scent similar to that of roses. Historically, the herb was used to treat anemia, erectile dysfunction, stomach upset, and depression. More recent research has found that the herb helped those with stress-related fatigue to feel more energy, increase their mental performance, and decrease levels of the stress-related hormone cortisol in their blood. In another study, the herb showed that those taking the herbal extract had significant improvement in mood. Russian researchers also found that the herb acted as an adaptogen, which simply means that it helps the body deal with all sorts of physical and emotional stressors. Today, Russians use the herb as a remedy for fatigue, decreased memory, and to increase production. Additional evidence shows that it has an antioxidant effects, enhances the immune system, and can help increase sexual energy. Research is still new on the use of Rhodiola in skin care, but so far, the results are really exciting. First of all, it contains powerful antioxidants called “proanthocyanidins,” which are the same antioxidants found in grape seed, cinnamon, bilberry, and green tea, known for their ability to protect. Studies have shown that Rhodiola is comparable to vitamin C as an antioxidant, and you probably know how effective vitamin C can be for the skin! Rhodiola seems to have the ability to encourage a firmer, tighter look, which can help reduce the appearance of fine lines and wrinkles. We've added Rhodiola to our Anti-Aging Serum. Give it a try and let me know if you can feel the benefits. Have you tried Rhodiola—either for skin or other health benefits? If so, please share your story. Photo courtesy Buzz ! via Flickr.com. Chris Kilham, “Rhodiola Rosea: Nature's Antidepressant,” Fox News, March 7, 2012, http://www.foxnews.com/health/2012/03/07/rhodiola-rosea-natures-anti-depressant/. Dr. Weil, “Q&A Library,” DrWeil.com, May 15, 2008, http://www.drweil.com/drw/u/QAA400399/Rhodiola-for-What-Ails-You.html.